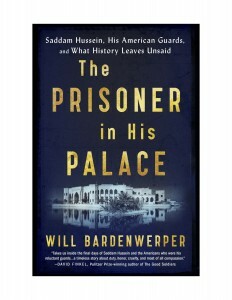 In his new book The Prisoner in His Palace, author William Bardenwerper explores the final months of Saddam Hussein’s life and the American MPs who guarded him. 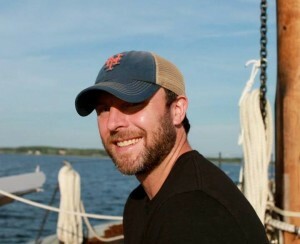 We spoke with Bardenwerper, via email, about this fascinating story. What led you to want to explore this facet of the conflict in Iraq? Well, at the most basic level I was shocked that these young American soldiers–some barely out of basic training–suddenly, and in a total surprise, found themselves tasked with guarding the world’s most notorious dictator. Then I was even more amazed to discover just how intimate their time with him was. They were alongside him 24 hours a day, 7 days a week, as it was imperative that he remain safe and be treated well while in U.S. custody (especially in the wake of the scandal at Abu Ghraib). In the process, they couldn’t help but get to know each other, resulting in some improbable interactions and relationships. On a more macro level, my research showed there had never been an account of the imprisonment of a condemned former dictator told through the eyes of guards in whose custody he was held. This unique vantage point for observing and interacting with a tyrant was likely to contain–and turned out to contain–vivid insights about the man behind the facade who had held so much power and vexed so many governments in the region and globally. This is most definitely not an effort to rehabilitate Saddam’s image. Neither I, nor the soldiers in this book, are under the illusion that he was not guilty of horrendous crimes against humanity. It does, though, present him as a more complicated and intriguing figure than many recognized. As you researched and wrote your book, what did you find the most illuminating about Saddam Hussein–and the American MPs guarding him? I was struck by how, rather than coming across as the almost cartoonish villain he was often presented as in the western media, Saddam was a far more interesting character. He was capable of exceptional charm, had a good sense of humor, and possessed striking charisma until the very end. I was also struck by how some of the soldiers, who had been predisposed to hate this man, found themselves troubled to discover that they had begun to enjoy his company. I think it says something about how one can know on an intellectual level that someone was guilty of terribly evil things, but when you don’t see that, and rather live alongside and interact with a man who reminded some of a kindly older relative, it can be hard to reconcile how both identities could reside in the same person. I also think it shows how it is one thing psychologically to shoot at an essentially anonymous enemy target from 150 meters away when you are a soldier, and another to live alongside and get to know someone as a human being–and then be tasked with leading them to their execution. 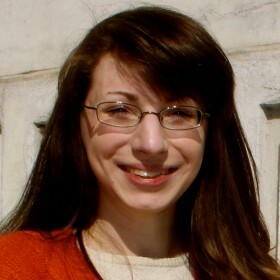 What do you hope civilians in particular glean from this story? Well, I don’t think I would divide my readership into civilian or military camps. I think there are various dimensions of this character and the young Americans profiled that the book will spark readers of all stripes to think more about. Saddam the person, the remorseless tyrant, and the cornered old man on the way to his death–the improbable relationships depicted truly affected some of the young Americans who went to war expecting to encounter one thing and instead experienced something that defied many of their expectations.